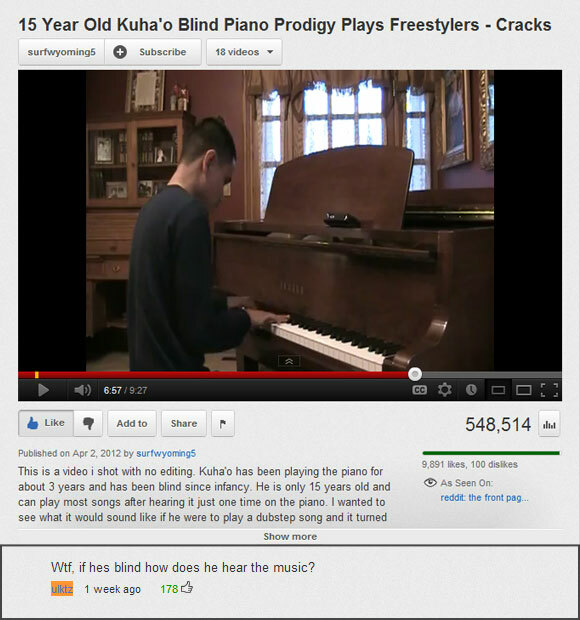 Stoopid Person Of The Day: How Do Blind People Work? This entry was posted on Tuesday, May 29th, 2012 at 5:00 pm	and is filed under Hilarity, Stoopid Person Of The Day, Stoopidity. You can follow any responses to this entry through the RSS 2.0 feed. You can skip to the end and leave a response. Pinging is currently not allowed.